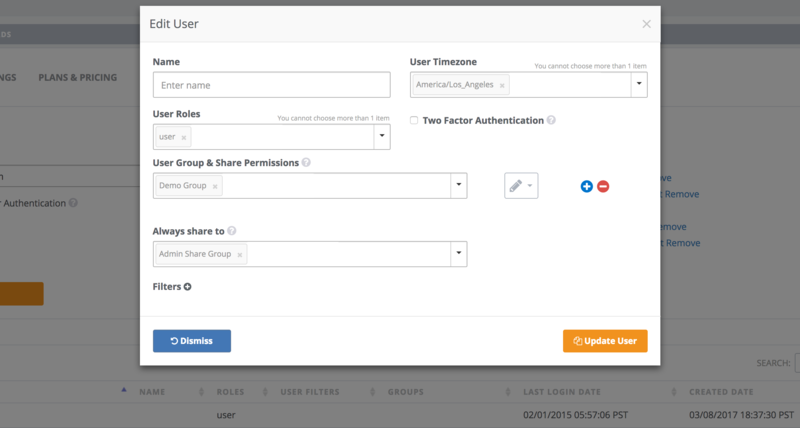 User filters can be set that limits the data returned to the user across all their dashboards. There are two modes: Query Parameters: Helps you define query parameters that can be passed in all the way into direct queries against your datasource. These parameters can be set at the user level and replaced during query execution. Filter on Query Results: This post processes the data returned any any query to filter by the parameters set. For an in-depth look at content filters, see section on Filters & Query Parameters.